Due to the increasing use of technology, it feels quite impossible to know that some parts of the planet are still unexplored and covered in mysteries. The lesser you know about these destinations, the more you crave for it. This is exactly the feeling that you will have after reading about these 13 forbidden places around the world. Read on and be prepared to feel intrigued by the secrets that are impossible to understand. The Lascaux Cave is a treasure trove for archaeologists around the globe. The cave complex contains pre-historic paintings that are 17,300 years old. The series of Paleolithic paintings that looks hauntingly vivid hugs the wall and depict animals like cattle, stags, bison and many more. Sadly, the cave is closed to the general public since 1963. Archaeologists believe that human presence might destroy the ancient work of art. 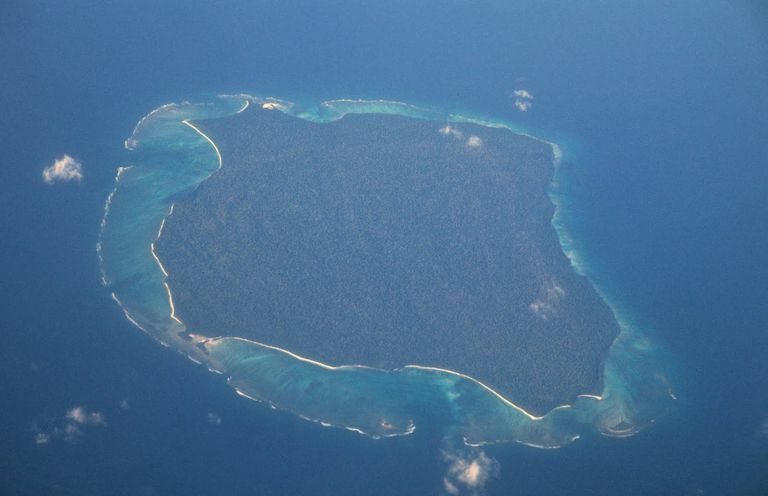 Home to the Sentinelese tribe, the North Sentinel Island is a small island belonging to the Andaman chain. The people inhabiting the island often get violent to safeguard their isolation. The Sentinelese tribe have lived on the island for over 50,000 years under the protection of the Indian Government. This region is strictly prohibited for visitors of any kind. Surtsey is a little island located in an archipelago off the southern coast of Iceland. It was formed as a result of a volcanic eruption that lasted for 4 years. Surtsey also has the reputation of being the newest island on the planet. Currently, it is open to a few scientists and geologists. It is believed that human interference will disrupt the ecological succession taking place on the island. Japan is globally popular for its shrine culture and houses approximately 80,000 shrines. The most important among all is the Ise Grand Shrine. It is one of the most expensive temples in Japan due to its architectural grandeur. In order to maintain the Shinto traditions dating back to the 8th century, this temple is rebuilt every 20 years. And that comes with a million dollar price tag. Unless you are a member of the royal family, you are forbidden to enter the hallowed halls of this ancient Japanese representation. Located in New York City, North Brother Island is one of the most popular abandoned regions in the USA. Originally developed as a quarantine hospital, it was the home to the Typhoid Mary. She was identified as the first American to carry the typhoid fever. Later, this place became a rehabilitation centre for drug addicts. Now, North Brother Island has a bird sanctuary and is permanently shut for the common people. One of the most unexplored places on the Earth, Heard Island lies between Antarctica and Madagascar. Politically, this island is a part of Australia. There are two active volcanoes on the Heard Island and it is completely barren. The entire island is composed of debris and limestone that took place as a result of volcanic eruptions. In order to preserve the fragile natural surroundings, the Australian Government restricted entry to the island. The Doomsday Vault is a seed bank situated in the heart of the Arctic Svalbard archipelago. This is a secure vault that preserves a variety of plant seeds. It is an attempt to safeguard the seeds in case of an apocalypse or global crisis. From every nook and corner of the globe, crates of seeds are sent to the Doomsday Vault for long-term storage. The vault is only open to special guests on specific days. As the name suggests, this is an island in Brazil infested with thousands of deadly snakes. No human even dare to tread on the Snake Island and it is even regarded as the most forbidden places in Brazil. In fact, it is so dangerous that the government has made it illegal to visit the island. It is estimated that there are approximately 4,000 golden lanceheads on the island – the deadliest serpents on the planet. Area 51 in Southern Nevada is always wrapped in conspiracy theories. It is a US military base and has the reputation of being the testing ground for weapons and aircraft. But there is wider speculation about the same. Conspiracy theorists believe that the officials conceal alien evidence at the base. It is totally off limits to the commoners and even the USA barely acknowledges the existence of Area 51. The Mausoleum of China’s first Emperor Qin Shi Huang is buried deep underneath a pyramid for more than 2,000 years. It is one of the greatest discoveries of all times but remains a mystery for historians and archaeologists. The contents of the tomb are mostly sealed and unexplored. It is said that the burial complex comprises of various things that Qin Shi Huang will need in the afterlife. 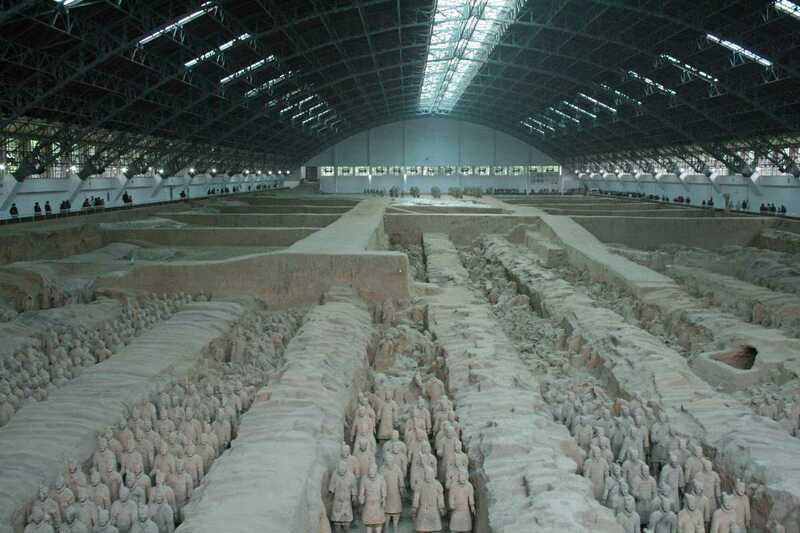 In order to pay respect to the ancient site, the Chinese Government has prohibited excavation of the Tomb of Qin Shi Huang. One of the most spectacular landmarks of Czech Republic, Pravcicka Brana is the biggest sandstone arch in Europe. Till 1982, this landmark attracted tourists from far and near. Later, in order to minimise erosion, people are restricted to visit the arch. However, geologists are of the opinion that this natural sandstone arch of Pravcicka Brana would soon collapse. Niihau Island with a population of 160 inhabitants is prohibited to the general public. The only way to visit this region is either to be a part of the US Navy or to have a relative on the island. In order to preserve the environment and wildlife on the Niihau Island, the government has restricted the entry to outsiders. No wonder, it is a forbidden place that one cannot reach. So, are you feeling the chills yet?